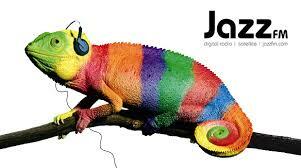 JazzFM have announced that a new weekly show on their station will focus solely on British Jazz. True Brit will run each Thursday at 6pm and will be presented by Nick Pitts. There will be regular guests from the British Jazz scene and music from the archives of UK Jazz as well as new releases. With the wealth of releases by British acts, there is a huge potential playlist for a programme like this and we hope it helps celebrate the rich and varied UK jazz scene. Artists who wish to submit music for airplay should either post physical CDs and press packs to 75-77 Margaret Street, London, W1W 8SY or visit the Contact Us page of the JazzFM website for links to email contacts for mp3s and EPKs.